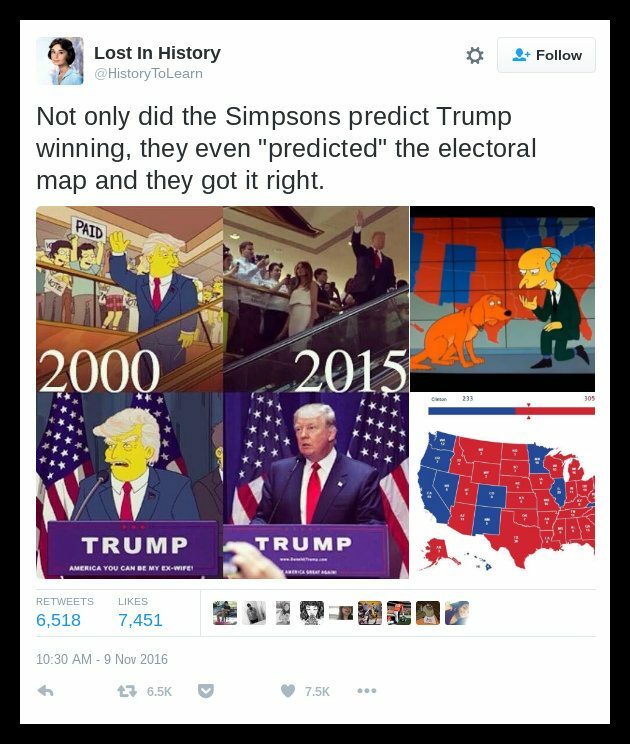 FACT CHECK: Did 'The Simpsons' Predict a Donald Trump Presidency? Did ‘The Simpsons’ Predict a Donald Trump Presidency? 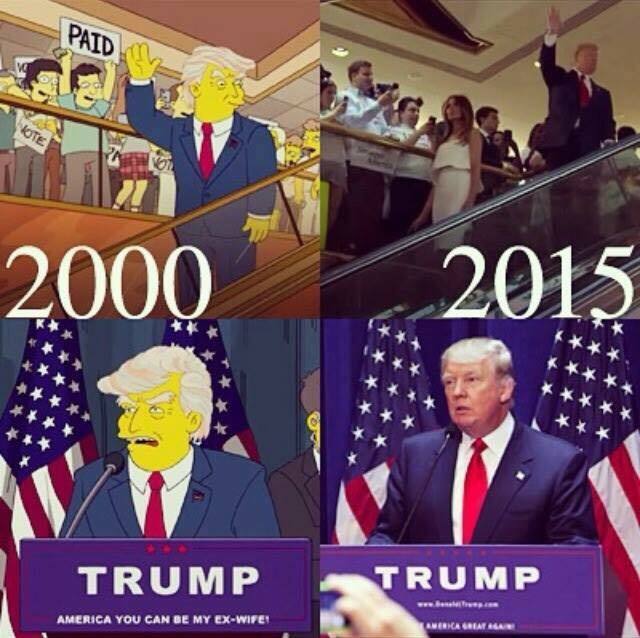 Images from the 'The Simpsons' showing Donald Trump's announcement of his presidential candidacy are from 2015, not 2000. A video documents that The Simpsons anticipated in 2000 how Donald Trump would announce his presidential candidacy in 2015. I want people to realize the synchronicity here and all the connections. This was put out in 2000. Fifteen years ago. Fifteen years ago. Now this is happening.